This photo was taken on May 18, 2013 at 6:14 am. 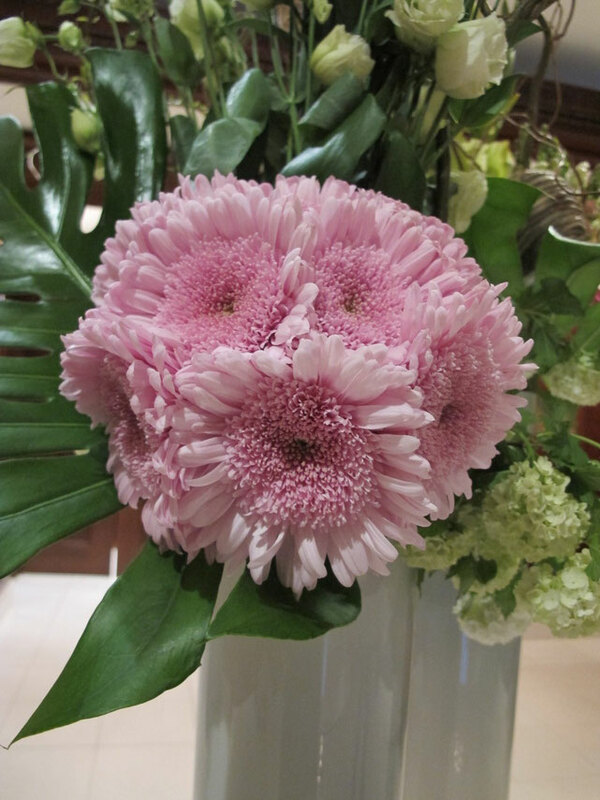 The location was in the lobby of a very nice hotel in Washington DC, on a table that they have a continuously changing set of flower arrangements for the enjoyment of the guests and visitors. I must say I think the employees enjoy them as well. The "Take It!" was not immediately obvious. I had to look at it with others for a set of multiple showings on that same day. We came to the conclusion that it was almost as perfect a monkey as could be made with flowers. On the initial photo shooting of this flower arrangement I had the monkey image just a little off center so ended the day of showing it, with the hope that it would still be there the next day to allow me another more straight in the face shot. I was delighted to walk in the next morning to find it there and was given the gift of the opportunity to bring just a little more perfection to this unexpected find. The After Take: I must say the two days of showing this photo to lots of people brought lots of joy. The responses ranged from smiles of recognition to the outright utterance of "Wow." I prefaced each showing with the statement that I was going to show them a flower monkey and said it twice. This helped set the stage for recognition for some and I must say, most got it right away. I think the most flattering comment was one who called it 'Curious George' in pink. The game of finding photos for this site has always been enjoyable, however there are times that are a real hit. This has been one of them. Here is hoping you get as big a kick out of this as have others. Yes, there are even times when this might be termed "Monkey Business." Best wishes for some happy monkey business in your day. Beautiful color of flower nonetheless. Great pic and wonderful eye! Sally and Jim, please take another look at the picture as it was incorrectly rotated in the original posting. I think you will see the monkey more clearly. This one made me laugh really hard. When I saw the title and scrolled down to the picture, oh man! Imagination is such a great thing.